This book focuses on the use of small arms in violence and attempts by the state to govern the use and acquisition of these weapons. It is likely that hundreds of thousands of people are killed every year as a result of armed violence - in contexts ranging from war zones to domestic violence. This edited volume examines why these deaths occur, the role of guns and other weapons, and how governance can be used to reduce and prevent those deaths. Drawing on a variety of disciplines, ranging from anthropology through economics to peace and security studies, the book's main concern throughout is that of human security - the causes and means of prevention of armed violence. The first part of the book concerns warfare, the second armed violence and crime, and the last governance of arms and their (mis)-use. 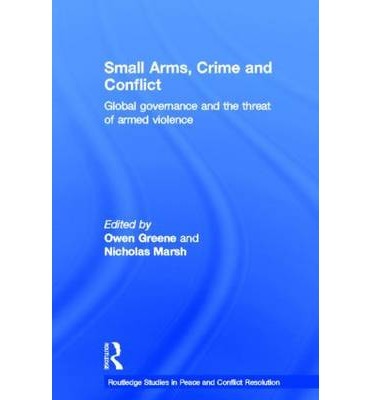 The concluding chapter builds on the contributors' key findings and suggests priorities for future research, with the aim of forming a coherent narrative which examines what we know, why armed violence occurs, and what can be done to reduce it. This book will be of much interest to students of small arms, security studies, global governance, peace and conflict studies, and IR.